A coupé, or coupe in North America (from the French past participle coupé, of the infinitive couper, to cut), is a car with a fixed-roof body style that is shorter than a sedan or saloon (British and Irish English) of the same model. The precise definition of the term varies between manufacturers and over time, but often, a coupé will only seat two people and have two doors; though it may have rear seating and rear doors for additional passengers. The term was first applied to 19th-century carriages, where the rear-facing seats had been eliminated, or cut out. French language verb couper, translating as cut, referring to the fact that the body is separated by a cut-off wheel, or "cut in half". The coupé was developed from the berline by removing the rear-facing front passenger seats and shortening the passenger enclosure by a corresponding amount. The resulting shortened berline was called halbberline in Germany and berlingot or berline coupé in France. The term "berline coupé" was later shortened to "coupé". Normally, a coupé had a fixed glass window in the front of the passenger compartment. The coupé was considered to be an ideal vehicle for women to use to go shopping or to make social visits. Club coupé A coupé with a larger rear seat, which would today be called a two-door saloon. Business coupé A coupé with no rear seat or a removable rear seat intended for traveling salespeople and other vendors who would be carrying their wares with them. Opéra coupé A coupé de-ville with a high roofed passenger compartment such that the owners could be driven to the opera without the need to remove their large hats. These often had occasional seats that folded for use by children or extra passengers, and allowed easy passage to the rear seats. These cars most closely approximated a motorized version of the original horse-drawn coupé. Often, they would have solid rear-quarter panels, with small, circular windows, to enable the occupants to see out without being seen. These opera windows were revived on many U.S. automobiles during the 1970s and early 1980s. Sports coupé or berlinetta A body with a sloping roof, sometimes sloping downward gradually in the rear in the manner known as fastback. ADAC on its website also adopted this concept. In Germany, the definition of the coupé was finally divided into the classic coupé and 4-door coupé. This definition and concept of four-door coupé (instead of saloon) are evident in Germany, but they are not widely known in the rest of the world. BMW 6 Series Gran Coupe, Mercedes-Benz CLA-Class, and Mercedes-Benz CLS-Class. Combi coupé is a marketing term used by Saab for a car body similar to the liftback. Chevrolet Monte Carlo being the last model to offer it. However, two-door cars in general have fallen in popularity, with the popular exception of convertibles and two-seat roadsters. Sedans, pickup trucks and SUVs/station wagons have had fewer two-door models (especially ones with backseats) in recent years since the cost of four-door cars has gone down along with engineering to ease access to the back seat area. 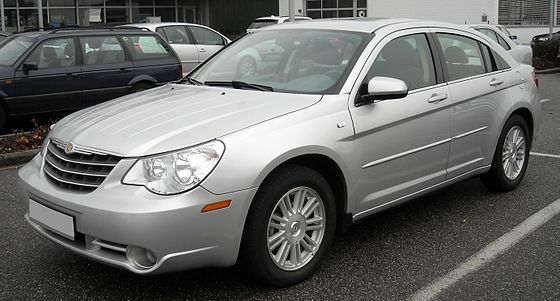 Dodge Stratus and Chrysler Sebring; When Lightning Doesn't Strike Twice". The New York Times. Retrieved 22 April 2015. Look up coupé in Wiktionary, the free dictionary.